Happy Sunday! Where has July gone? Well here is my final Stamper's Dream project for the month of July. It's an ATC (Atrist Trading Card). I wanted to use up my yummy scraps from my Melissa Frances 5th Avenue paper. ATC's are the perfect size for all those bits of designer paper leftovers. I adhered the DP to a 2.5 x 3.5 chipboard piece. I then dry brushed the edges with white acrylic paint for a more shabby look. The birdcage image is from Maya Road Bird w/Cage Singleton Stamp Set. I embossed the birdcage on a transparency sheet with white embossing powder. I fussy cut the image and I tied some May Arts Ivory Burlap String to look like a chain link. I absolutely love owls and I had this owl charm in my hoard vault and used hot glue to adhere it in the center of the cage. Hi everyone, it's Friday yay!! I posted a video on this card that I created for I Am Roses which can be watched here. It's a coordinating card that I made to go with the Altered Pennant that I did a couple days ago. The paper is 5th Avenue from Melissa Frances, which I still have tons of from my 6x6 paper pad. I fussy cut the paper banner from the patterned paper. Underneath the banner is a stamped banner image that I embossed with white embossing powder. I layered the two together and it fit perfectly. I then popped up the banner with dimensional foam dots. Tiny pearls were added to the banner string as well. The stamp set is Impression Obsession - Fabulous Friend. I used a large circle punch and a scallop circle die from QuicKutz (Lifestyle Crafts) to frame the sentiment. I used more pattern paper in the inside of the card. All the edges of the papers were inked with Antique Linen Distress Ink. I chose to use soft pinks and creams in the flowers that I used. The white rose below is a White Puffy Semi Rose Bud. I paired that flower up with a Soft Pink Curly Rose. This little bouquet lays on two Small Natural Skeleton Leaves. Small White Flowers and Small White Pink Flowers 2 Tone are placed on the top and bottom corners of the card. To add more bling into the mix, I finished off the card with a row of pearls on the bottom. So that's my card for today. Have a great weekend everybody and thanks for stopping by! Happy Thursday everyone! I am on an altered projects kick! Here is my Stamper's Dream project for you today. I decided to alter this Sizzix die packaging. I just received a die as a gift and I take all of my dies out of their original packaging. So I decided to alter it to use as a gift box for a friend. I am going to put lace trims inside as the gift and chose to use the Tim Holtz Sewing Room Sizzix Bigz Die. I used some thin chipboard and the Melissa Frances 5th Avenue paper. With some lace, a mini crochet flower and some fabulous trim, I dressed up the dress form. A scissors charm attached to a garment pin was added for the sewing theme I was going for. The labels in the center were cut from the Spellbinders Labels Five die. I trimmed some pattern paper to fit inside the package, as well as trimmed and punched out a border for the top flap piece that sticks out. That lush blue flower in the center is from Kaisercraft's Paper Blooms. I added some of my flowers and a pearl bling flourish as well. The Sewing Room die also cuts out a button and a spool thread. I again cut it out of thin chipboard and some pattern paper. I took some May Arts Ivory Burlap String and wrapped it around the spool. I also used the string and ran it through the button and tied a bow. The "sew cute" sentiment stamped on the spool piece is from Maya Road Sew Cute Singleton Stamp Set. So there you have it. Save the packaging of those Sizzix dies that we all have and use. You can create a beautiful gift box out of it. Hope you've enjoyed my project and see ya tomorrow! 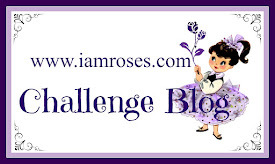 Winners of the I Am Roses Summer 2011 Blog Hop! 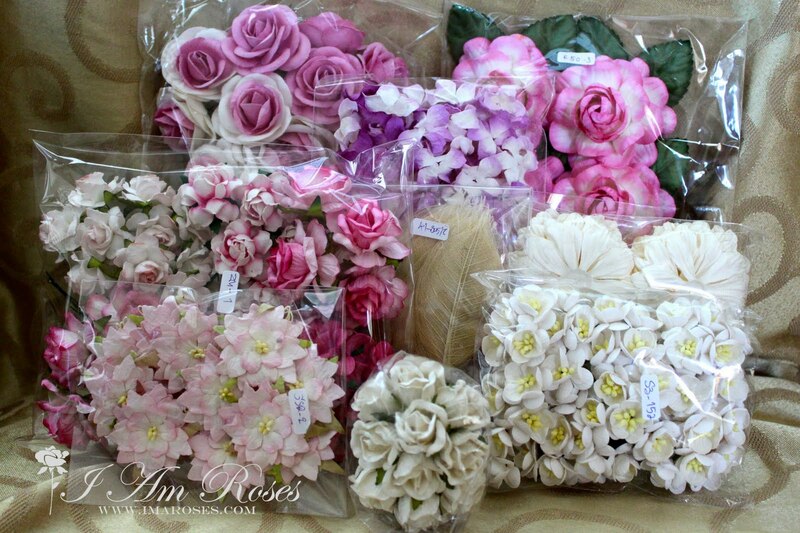 What an AMAZING blog hop we had for I Am Roses! The projects by the design team were spectacular -- showcasing some of the new I Am Roses flowers and some old favorites. We want to thank you for participating in the hop and and showing your love, not only for the scrumptious I Am Roses products, but for the projects the design team created to load you up with inspiration! Rina (www.scrapmusubi.blogspot.com) and Karla (www.karlasloveblog.blogspot.com) were holding the secret blog candy! On Rina's blog, comment #4 is our first winner! TYJ419 -- congratulations! On Karla's blog, comment #23 is our second winner! Karla, I purchased one of the 3 boxes of this style and I was planning on leaving it just as is (because it's beautiful already), but you have made this so much more pretty!! Thank you so much for sharing this project with us. Congratulations to both our winners! Please contact Arlene at bfkwithlove@gmail.com and provide your name and address to collect your I Am Roses winnings! Happy Tuesday! Here is a quick and easy Stamper's Dream project I wanted to share. This is a cute little cello bag that I created to go with all my shabby projects that I've made thus far for my friend. I wanted to send her some flower goodness from I Am Roses. The paper that I used were from my many scraps that I accumulated this past week. I used the stamp set Elegant Charms from JustRite Stamps. This set came with several options to choose from. I went with the heart shaped image. The coordinating Spellbinders die set that I used is Charm Dies (currently Out of Stock). The soft pink color ink I used to stamp the heart tag is Pink Petunia, the Flower Pot Color Set from Tsukineko. WELCOME! Thank you all for joining the I Am Roses Summer 2011 Blog Hop! The Design Team is thrilled to share these special projects with you showcasing some of the latest flowers and old favorites. 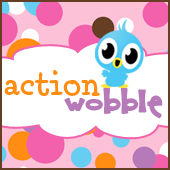 If you are going down the blog hop list then you are coming from Ivett's blog. But if you came straight to my blog, you might want to start at the beginning so you don't miss out. We also wanted to thank you for all the support and wonderful comments on our YouTube Channel iamrosesdt; we have reached over 1,000 subscribers and what better way to celebrate than with PRIZES! 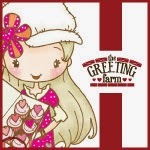 - Hop along to each of the design team member's blogs and be sure to comment on their individual Summer 2011 Blog Hop post. 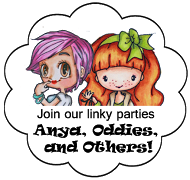 - There are 2 blog candy prizes are up for grabs! - There is hidden blog candy in 2 of our design team member's blogs. - We will be randomly selecting 2 winners from the comments on these blogs and will announce the winners on Wednesday, July 27th! - Be sure to subscribe to the individual design team member's blogs as you hop along so you don't miss out on the winner announcement! I've been saving this gift box to be altered at a future date and now the time has come. The box itself stayed the same and I altered the lid. The paper collection I used is K & Company Celeste. The vellum die cuts that I layered are from K & Company Flora and Fauna. This was my last white dollar frame from Michael's and it fit perfectly. I distressed the frame with Rubb n Buff Gold Leaf. I was hoarding some of this fab pearl/rosette trim and I wrapped it around the lid. Then I added some bronze pearl trim as an extra detail. Next up is the awesome Karla! I’m sure she has something FABULOUS to share with you! Thanks for coming by and playing along! Have a great weekend! Hi everyone, it's Thursday! Here is my Stamper's Dream project of the week. It is an altered wood pennant that was given to me as a gift. I painted it with white acrylic paint. The papers that were used are from Melissa Frances 5th Avenue. If you haven't taken the plunge on this fab paper, do so =) The images were distressed with Antique Linen. I fussy cut the image of the ballerinas from the pattern paper and popped it up with foam dimensional pop dots. The Spellbinders nestablilities die that was used is Labels Thirteen. I pleated some white crepe paper (party streamers) and added this beautiful pearl/rosette trim. I just love layering the Spellbinders dies to create a frame for added dimension. I added some semi-puffy white roses and some pink gardenias. The pennant is hung with white seam binding. I also added a Vintage Trinket tear drop from Prima to dangle at the tip. I've decided to give this hanging pennant to a sweet scrappy sister. I truly hope she likes it as much as I do. Thanks for stopping by! Happy Wednesday everyone! Here is my Stamper's Dream project for you today. I created this card because I love me some cake! The paper collection I used is October Afternoon 5 & Dime. I was flipping through the papers and I came across this black patterned paper with all these advertisements for toys and food. Well I had the perfect image from the stamp set Mom's Diner from Cookbookin'. I stamped the glass cake cover on some acetate with Stazon for a glass effect and cut the image out. The cake was paper pieced with paper from the collection. Both the cake and the pedestal were colored using my Copic markers. 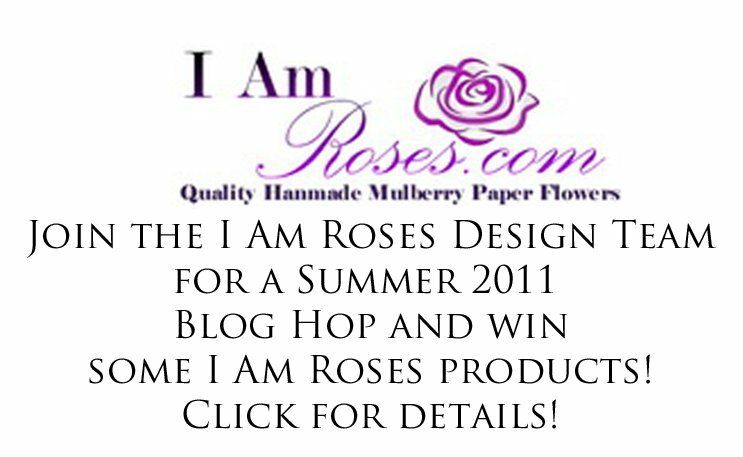 I'm excited to announce that the I Am Roses design team will be hosting an I Am Roses Summer 2011 Blog Hop on July 22nd! Mark your calendars! This is our first blog hop as a design team and we are really excited to share some of the new flowers with you in some creative and unique projects! 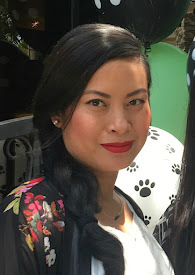 How do I participate: Hop along to each of the design team member's blogs and be sure to comment on their Summer 2011 Blog Hop post! How do I win: 2 blog candy prizes are up for grabs! There is hidden blog candy in 2 of our design team member's blogs. We will be randomly selecting 2 winners from the comments on these blogs and will announce the winners on Wednesday, July 27th! Be sure to subscribe to the design team member's blogs as you hop along so you don't miss out on the winner announcement! Now how's THAT for eye candy?! 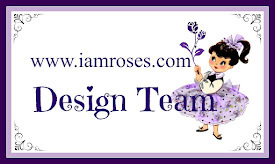 The I Am Roses design team is full of talented ladies, so we hope you follow us along for the ride! See you right here on the 22nd! I was given this paper mache cupcake gift box from my friend Danielle. The top half of the box was sprayed with Starburst Pretty in Pink Pink. The bottom half of the box was sprayed with Starburst Dark Chocolate Truffle. Sounds yummy already =) The flowers that I used from I Am Roses were the Small White Gardenia Curly Petals and the Small White Pink Flowers 2 Tone. The gardenia petals were used to represent the frosting on the cupcake. I individually glued each petal to the top. The small white pink flowers were used as accents or sprinkles. Tiny pearl embellishments were scattered all around as well. Inside I just put a little gift bag to hold the present. I added some lace and pearl trim around the top of the bottom half of the box. I truly enjoyed decorating this cupcake. I hope everyone is having a beautiful Sunday. Thanks for stopping by. You can also watch a video of this cupcake gift box here. I had the task of altering this paper mached book box for my cousin. Her idea was to put all the handmade cards that she receives from me into this box for safe keeping. Fabulous idea, especially since we crafters put a lot of love into our cards. I painted the outside of the box with the Lindy's Stamp Gang Starburst in Witch's Potion Purple. The color is so intense and the shimmer is amazing. I ran some brown ribbon trim on the front and back of the cover. The owl embellishment was given to me by my friend Gina. The colorful designer paper used in the front was from a note card set. The edges on the side of the book binding were distressed with Rub 'n Buff in Gold Leaf. The letters for my name were just from my alpha stash. I used a hot glue gun to adhere everything. For the inside of the box I just adhered some dictionary paper. The sides of the box were painted with the Starburst in Dark Chocolate Truffle. One of my favorite colors in the Starburst collection. I made a quick video of this project here. Thanks again for stopping by! Have a fabulous weekend. July is here and so is the heat! I hope everyone had a fantastic holiday weekend. It's time for my first Stamper's Dream project for July, woohoo! I had this image already colored and stowed away in my stash and I couldn't find the perfect paper to go with it...'til now. The paper is from Echo Park For the Record. The yellow color I used on the image matched perfectly. The edges of the designer paper were inked with Black Soot. I created my own banner for the "Superstar" sentiment from The Greeting Farm. To give some sparkle I used Yellow Stickles from Ranger on her cute bow. I added a mini rhinestone on her ring finger to add a touch of bling. To frame her out I used Labels Five from Spellbinders. The inside of the card was lined with the designer paper and also again I used the Labels Five nestabilities. I used a scallop border punch on some black cardstock. I pulled some yellow and white flowers (colored with my LSG sprays) from my stash to complete the card. I hope you guys are having a great week so far. Stay cool in this hot summer weather in Cali. Thanks for stopping by! Are you guys ready for the long weekend? It's time to get your party on! To help you celebrate, Michelle is having a SALE at Stamper's Dream ! Michelle is offering an awesome coupon code for my viewers. It is her way of saying thank you for your business! We all know that there are tons of places to shop for your supplies and she genuinely appreciates your shopping at Stamper's Dream ! More than half of the store is on sale during the next four days with your coupon code! The categories that work with your coupon are as follows: All Cosmo Cricket , Basic Grey , Crate Paper , October Afternoon , Stampendous, Studio 490, Spellbinders, Prima Marketing, Kaisercraft Paper Pads and Kaisercraft Paper Kits will be discounted with your coupon code. In addition, all stamps from Penny Black, Northwoods Rubber Stamps, Impression Obsession, Hero Arts, Inky Antics, My Cute Stamps and Crafter's Companion will be discounted with your coupon as well. You will receive 20% OFF the lowest marked price on ALL of those products by using the coupon code SDThankYou (no spaces) on the checkout page. Please be aware that there may be a slight delay in shipping due to the volume during this sale. The coupon is good Friday, July 1 through Monday, July 4 at midnight Central Time. There is a $20 order minimum to activate the discount. Please be sure to shop early for the best selection! While you are shopping be sure to see the products in the New Arrivals section. Have a safe and happy 4th of July! Don't forget to take lots of pics!